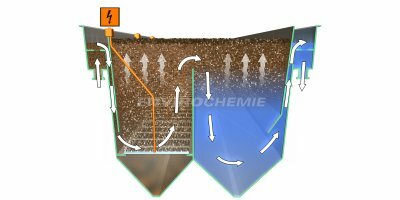 EnviroChemie is a leading plant engineering company for industrial water treatment, water circulation and wastewater treatment, with headquarters in the Frankfurt region, Germany. Our engineers and scientists consult on, plan, build, and maintain water treatment plants that are tailored to the respective customer requirements. Plant solutions for water recycling, resource recycling, zero discharge requirements or biogas production save valuable resources and energy. We supply plants `Made in Germany´ to customers around the world. 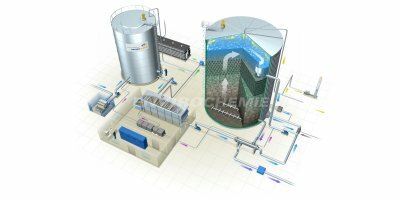 EnviroChemie is a leading plant engineering company for industrial water treatment, water circulation and wastewater treatment, with headquarters in the Frankfurt region, Germany. Our engineers and scientists consult on, plan, build, and maintain water treatment plants that are tailored to the respective customer requirements. Plant solutions for water recycling, resource recycling, zero discharge requirements or biogas production save valuable resources and energy. We supply plants 'Made in Germany' to customers around the world. We continuously develop the technology lines for physico-chemical, biological and membrane technology water and wastewater treatment, created in our own process laboratory. The product lines include compact small plants as well as plants developed individually according to customer requirements, which are set up conventionally or delivered as modular systems. Customer-specific solutions can be tested in our own technology centre or in pilot plants. We regularly act as partners in national and international research projects for the development of future-oriented technologies. Production of the plants takes place in three company-owned workshops in Germany and Switzerland. Our plants are produced by certified and qualified personnel, using the most modern production methods. We create the electrical planning in our electrical engineering department, programme the system controls and assemble the control cabinets. Our services range from comprehensive customer services, engineering consulting, and laboratory analyses to operation of the water treatment plants. We act as a reliable partner and support our customers throughout the entire operating life of their plants. We show initiative and respond to the wishes and needs of our customers, by providing the highest customer benefit, excellent quality, innovative brands and technologies. Innovation, durability and low resource consumption are of importance to us in relation to our technologies and service offering. We combine economic and ecological interests and thereby take our responsibility for the environment and conservation of resources seriously. We value every employee and encourage their professional development. We treat each other with respect and are committed to those, whose safety is a top priority in our actions. We expect independent action and a high level of performance of each individual, to ensure our success as a company. We focus on mutually profitable working relationships and productive personnel development in order to ensure that both our clients and our employees are satisfied. We expect honesty, open communication and loyalty to clients, suppliers and colleagues. Socially and ethically acceptable behaviour and respect for local laws are the basis for the international cooperation of all companies and subsidiaries of EnviroChemie. We constantly strive for a balance between decentralisation and centralised control, corresponding to the needs of the business. We stand for technological leadership, innovation and quality. Results from our research are incorporated into our nearly 40 years of experience in industrial water treatment. This ensures the responsible use of water, also into the future. Our code of conduct is based on the principles of the United Nations 'Global Compact'. It is a part of our regulations and guidelines. EnviroChemie has developed steadily since its foundation in 1976 in Eschenbach am Zürichsee in Switzerland. It all started with custom-planned physico-chemical treatment plants and the famous compact wastewater treatment plants Split-O-Mat. Today, EnviroChemie is a world-wide provider of proprietary technologies for physico-chemical, membrane technology and biological treatment of process water, water circulation systems, cooling water and wastewater. Water is used for a wide variety of purposes in industrial production. Water has to be treated, so that sufficient amounts are available in the quality required for production. 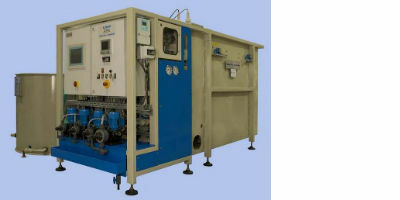 Process water must generally be re-treated after it has been used, so that it can either be discharged according to regulations or returned to the water cycle. 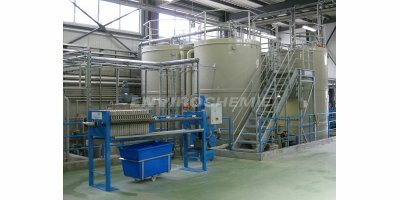 EnviroChemie develops, builds, and installs treatment plants for process water, which are tailored to the respective task, economical and environmentally friendly. Typical plant solutions are used for water treatment, wastewater pre-treatment, water recycling, or for resource recycling. We use state-of-the-art plant technology with physico-chemical, biological, or membrane processes, which we customise exactly to the respective specifications. 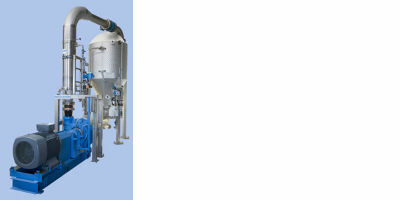 It is frequently necessary to combine processes to achieve optimum results in process water treatment. Our product portfolio for the treatment of process water ranges from standardised small plants up to customised large scale plants. Wastewater from industrial production is contaminated with various substances and as a result, effective wastewater treatment to the required limit values requires specialist knowledge. At the same time, wastewater treatment plants should be energy-efficient and conserve resources. EnviroChemie has more than 35 years of experience in the field of industrial wastewater treatment in a wide range of industries. 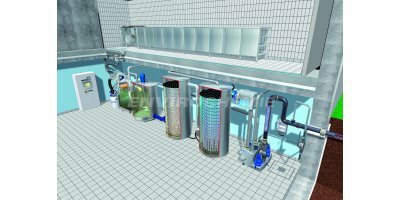 We are the leader in decentralised industrial wastewater treatment in Germany and other European countries. As a first step we consult with customers, then plan and operate the wastewater treatment plants. According to requirements, we implement our physico-chemical, biological or membrane processes or combinations thereof, to achieve the required cleaning performance. 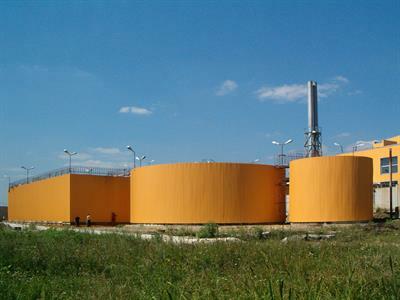 Depending on the production process and wastewater composition, operating costs can be reduced significantly through the use of sophisticated heat recovery concepts, or through the production of biogas. In our own research & development department, we develop new plants or further develop existing plants, within the framework of customer orders, research cooperation or the development of our own plants. Water is one of the most important raw materials for industrial production. For this reason, processes are now used in water treatment that not only produce the required water quality, but also allow for recycling. The treated water can either be fed back into the process, or reused for other purposes. 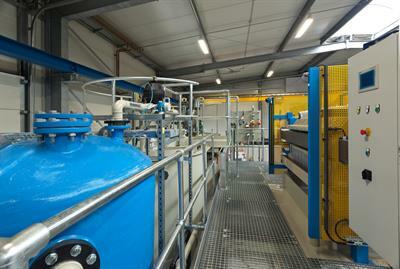 Water recycling plants lead to a significant reduction in operational costs for production. It is also possible to recycle resources that are important for production, using our processes for physico-chemical and membrane water treatment. We would be pleased to demonstrate the possibilities to you during a consultation. As a first step we consult, then plan and build the recycling plants. Our comprehensive service offering covers the complete operating life of the recycling plants. 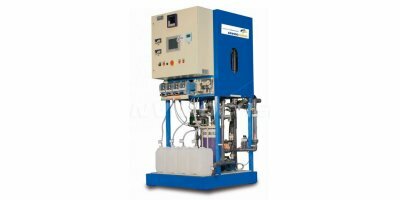 We maintain the plants, supply the water treatment chemicals and spare parts, optimise the processes and ensure smooth operation. 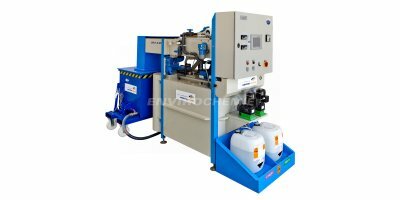 EnviroChemie is your partner for industrial water treatment. We consult on, plan, build, maintain water treatment plants. 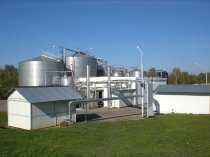 We provide water chemicals and run the plants, e. g. for water recycling, resource recovery, ZLD requirements or biogas production.